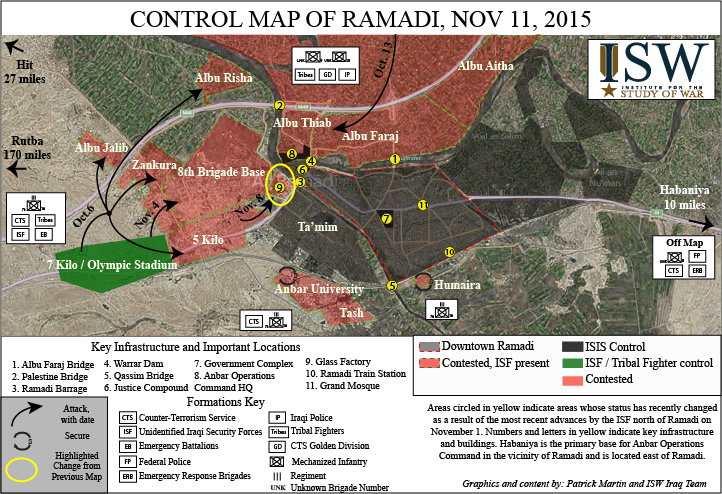 The Institute for the Study of War (ISW) has changed the control map of Ramadi to reflect recent advances by Iraqi Security Forces (ISF) toward the city. ISF is attempting to complete the siege of the city as the last step before the assault on Islamic State positions in downtown Ramadi. 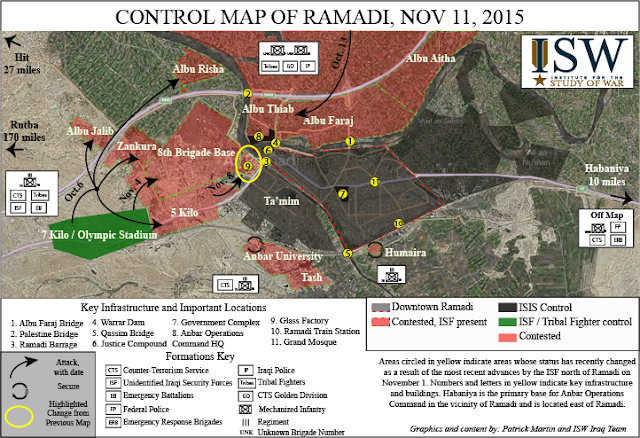 To read ISW situation report on Ramadi, please click here.